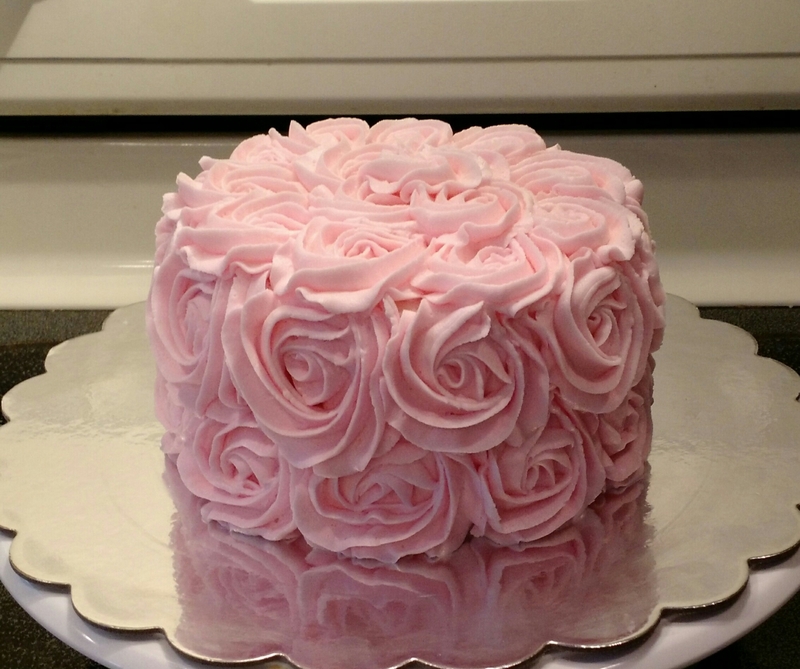 A 10″ and 6″ vanilla cake iced with vanilla buttercream. The people, and net are handmade from fondant. 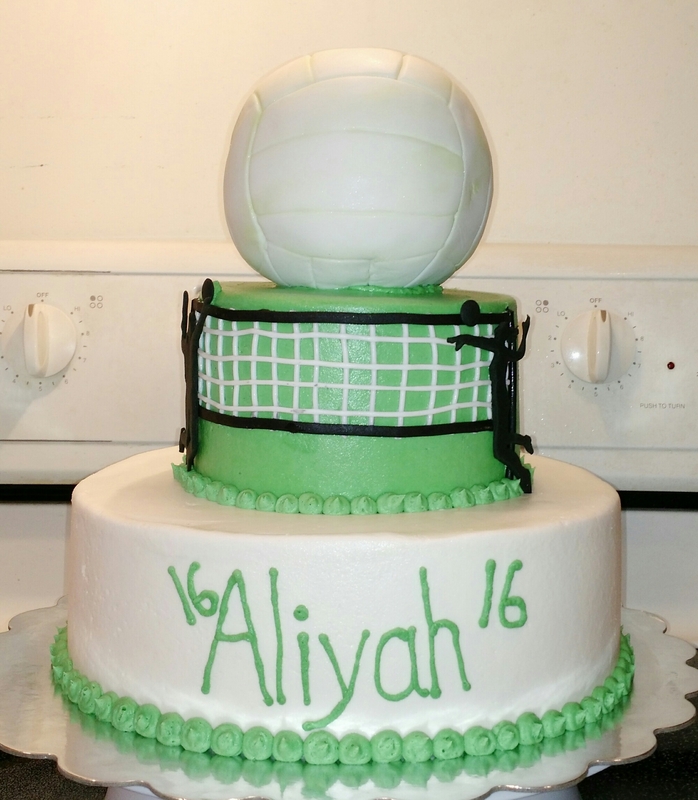 The volleyball is a rice krispie treat covered in fondant. 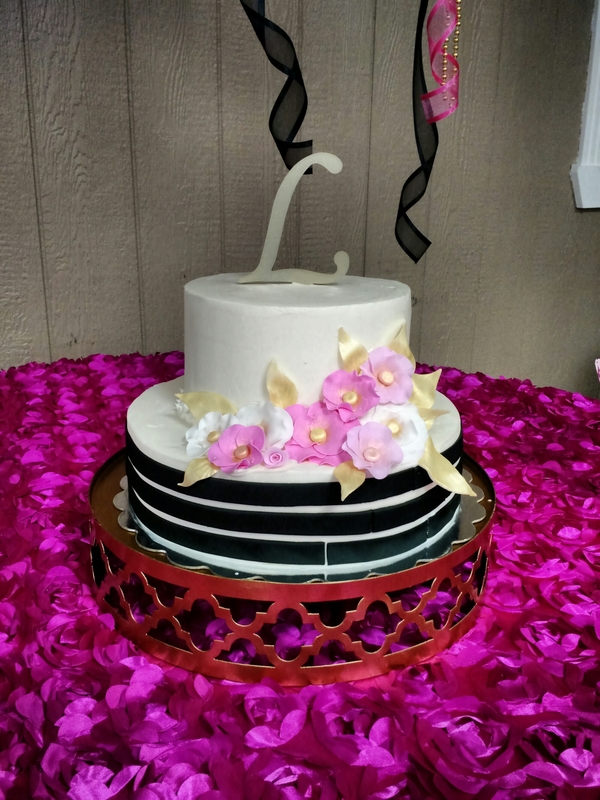 An 8″ vanilla cake and a 6″ chocolate cake iced with vanilla buttercream. 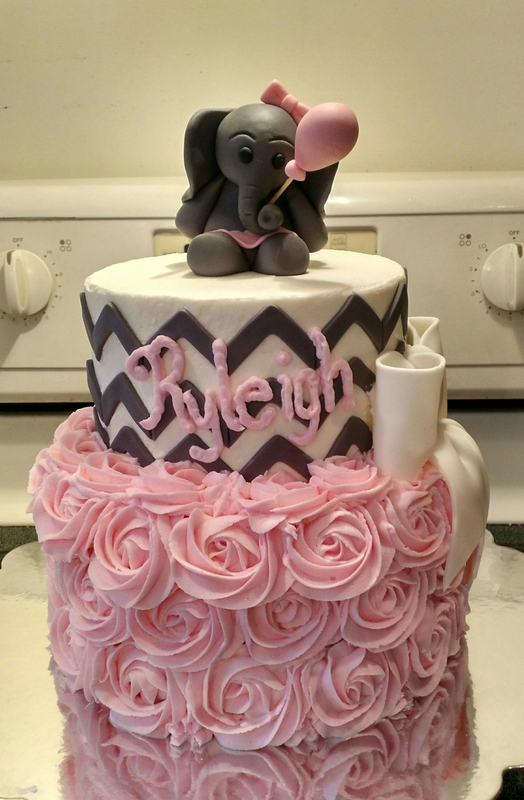 The chevrons, bow, elephant and balloon are all handmade from fondant. A 6″ vanilla smash cake was made to match.